FlowBack is back and better than ever with their latest release, SUMMER TRIP. Comprised of five members, TATSUKI, JUDAI, MASAHARU, MARK, and REIJI, FlowBack is currently signed under Ki/oon Music (Sony). Back in 2013, they got together as an indie group, and in 2014, they participated in one of the biggest auditions of Japan, LINE Audition. Out of over 125,000 groups, FlowBack was chosen as one of the eight finalists and gained much-needed attention. FlowBack released their first ever concept mini album, SUMMER TRIP, last month. It features a mix of old and new tracks and captures the summer feel. Along with their trip to the Philippines, FlowBack also did their first ever photobook, which showcased the essence of summer and the bond between the members. Congrats on the release of your new mini album “SUMMER TRIP!” I really liked the track “Be Mine.” What tracks from the mini album were your favorite? Can you explain what a concept mini album is? What makes it different from an ordinary mini album? Are there any plans to continue doing concept releases? It would be interesting to see future concept releases for other seasons like Winter. If I’m not wrong, Ikenai Taiyou (イケナイ太陽) is a song by ORANGE RANGE. How does FlowBack’s version differ from the original? Now for the music video, I love how you did a medley with all the songs in the mini album. What scene was your favorite to film? One thing that sticks out for me was the AfterRain scene. Throughout the room, the same outfits that were worn in the music video were there, too, so it felt nostalgic. How did you guys feel about that part? For the music video and photobook, you guys went to the Philippines. Mark and Reiji happen to both be half Filipino. Did you guys do anything during your free time? In the near future, what do you want FlowBack as a group to accomplish? Looking back from when FlowBack first released music with “Shake the World” and “AfterRain,” how much do you guys think you have improved? I’d like to thank FlowBack for taking the time to answer all of these questions. 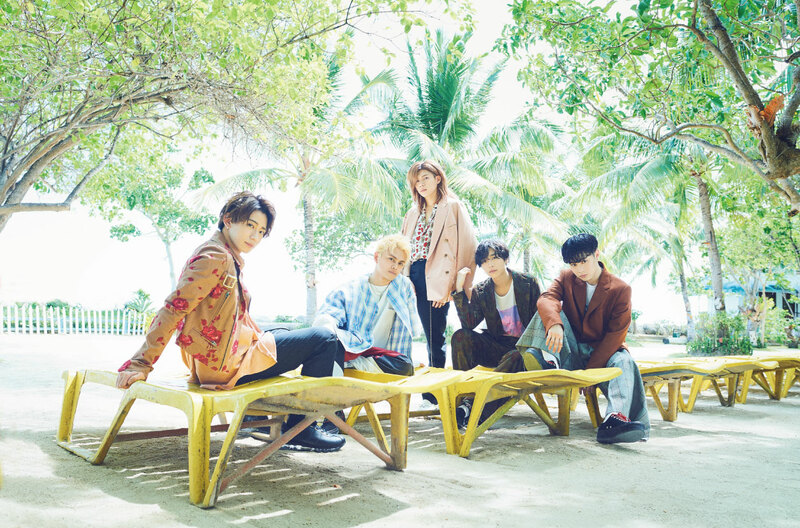 Was there something awesome or new that you found out about them and what was your favorite track from their latest mini album “SUMMER TRIP?” Leave your comments down below!